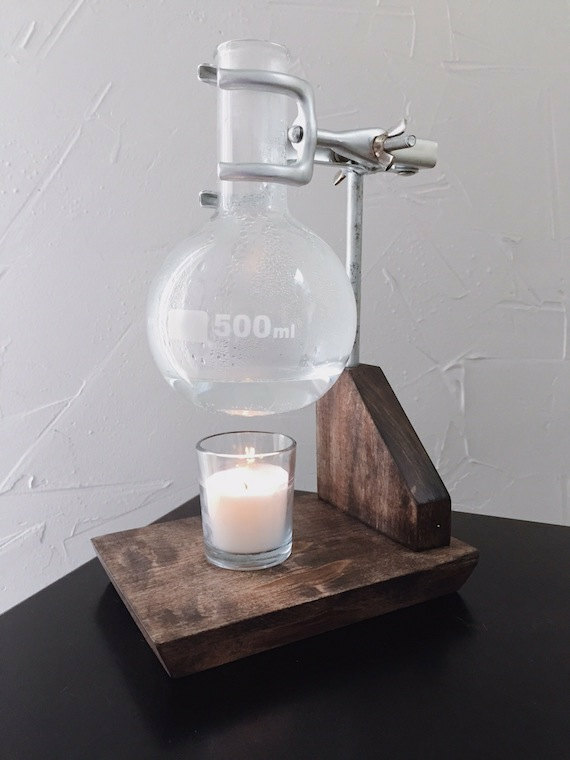 This wall-art retails for $24 at Urban Outfitters, but you can make it for free at your fume hood! 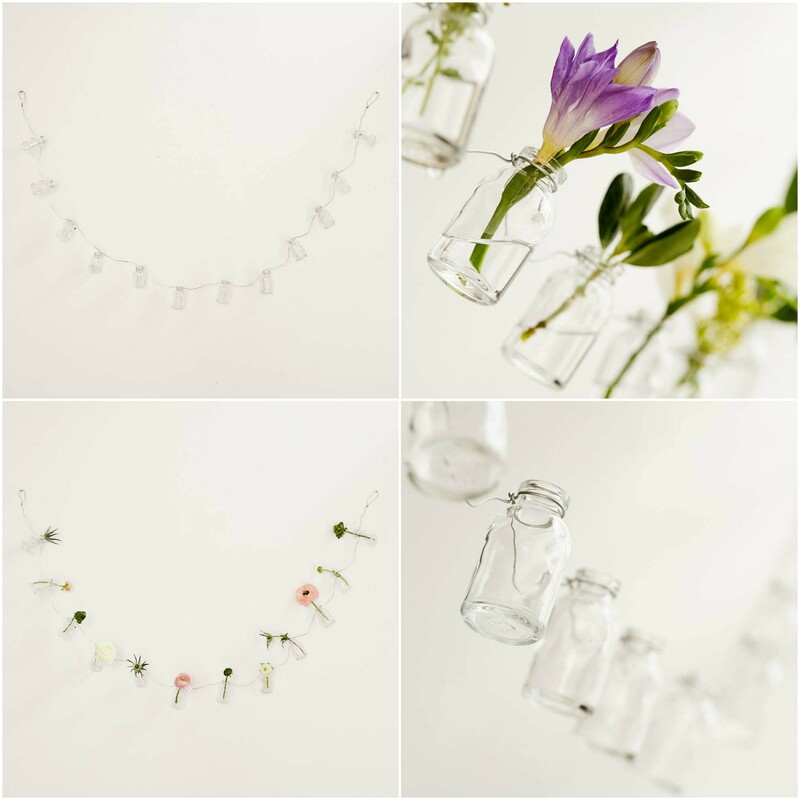 All you need are 12 TLC vials (no caps), 12 flowers, and some wire or string. These glass vials are always thrown into the glass disposal anyway, so why not put them to good use and decorate your work area? Make your own soap dispenser to wash your hands after touching some carcinogenic methylene chloride or to remove that wet spot in your fume hood so Lisa doesn’t hit you with a pink slip the next week! Take an Erlenmeyer flask, force a hole through a rubber stopper (to replace the cork in the picture), stick a soap dispenser thingy through, and fill ‘er up with soap! What better time is there to get high than during orgo lab?! Especially since you’re surrounded with flasks made of scientific-grade glass that’s excellent at fighting heat! Remove the PVC tube from the orange air pump on the right of your fume hood and stick it into your side-arm Erlenmeyer flask to create the mouthpiece. You may have to bring your own glass stem to stick through the rubber stopper. 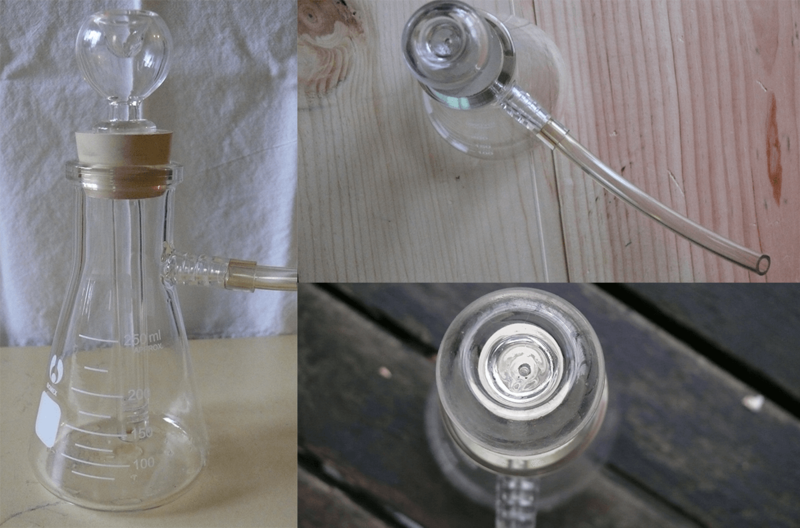 Or maybe you can somehow attach a round-bottom flask onto a condenser? I don’t really know what a bong looks like or how it operates but I’m sure you can improvise. Thanks to chemicals like ethyl acetate and ethanol, our fume hoods always smell horrendous. Improve your orgo lab experience by simultaneously running an aromatherapy session! Just clamp your round bottom flask onto the blue reflux heating machine and add 1-3 mL of water with a few drops of essential oils. Your lab mates will thank you. This one requires quite a bit of sneaky work because you’ll need to find a bunch of test tubes if you want make a decently-sized circle. Fill the tubes with some transition metal solutions, because we all know that partially filled d orbitals produce pretty colors, and glue the tubes to a circular piece of plywood. Or maybe instead of locking up your synthesized products in your drawer, proudly display them in the test tubes. 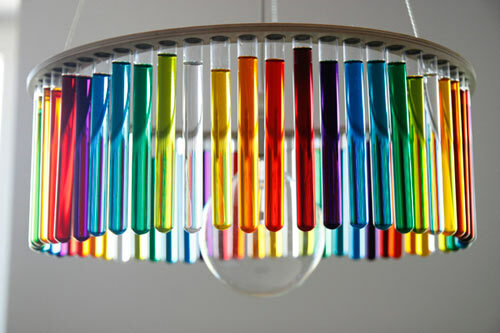 Be sure to hang your finished chandelier on one of the metal beams at the back of your fume hood for everyone to see! 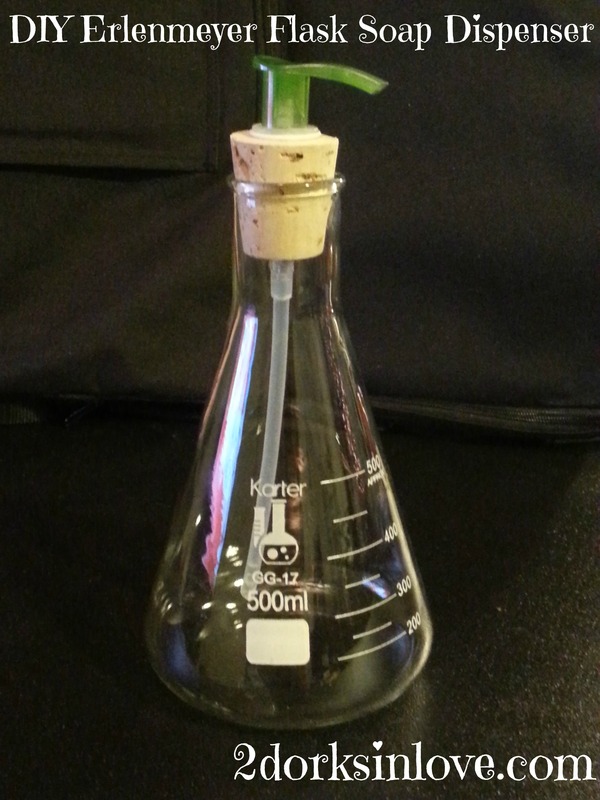 Thanks so much for showing off my Erlenmeyer flask soap dispenser 🙂 I will be adding a Petri dish soap DIY some time in the next month or so, a brain in a jar soap, and more!